of animal welfare and increasing production efficiencies rank among the most important factors involved in livestock production. While focusing on production efficiencies, what can producers do in order to help make their livestock more efficient? 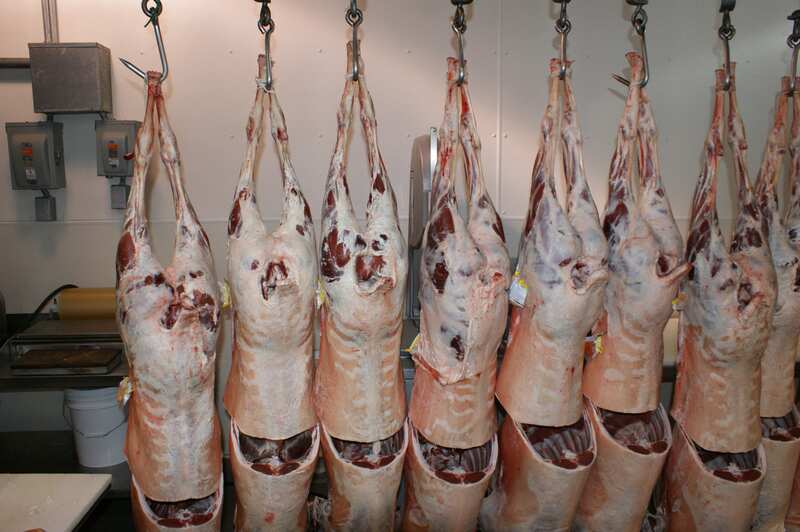 We know that excess fat on the carcass of an animal is considered inefficient as excess fat will be trimmed off, disposed of during the fabrication process, and does not contribute to final lean yield. In the case of lamb, excess fat can be a challenge as fat is associated with flavor and in turn the overall acceptability of the product. In order to produce a product that is acceptable for consumers from both a flavor and palatability standpoint, producers have access to different management strategies that can be implemented in order to change the performance and carcass characteristics of fed lambs. In order to determine the effects of these strategies, Murphy et al. (2003) conducted an experiment to compare different energy (feed) sources and the use of ionophore supplementation. 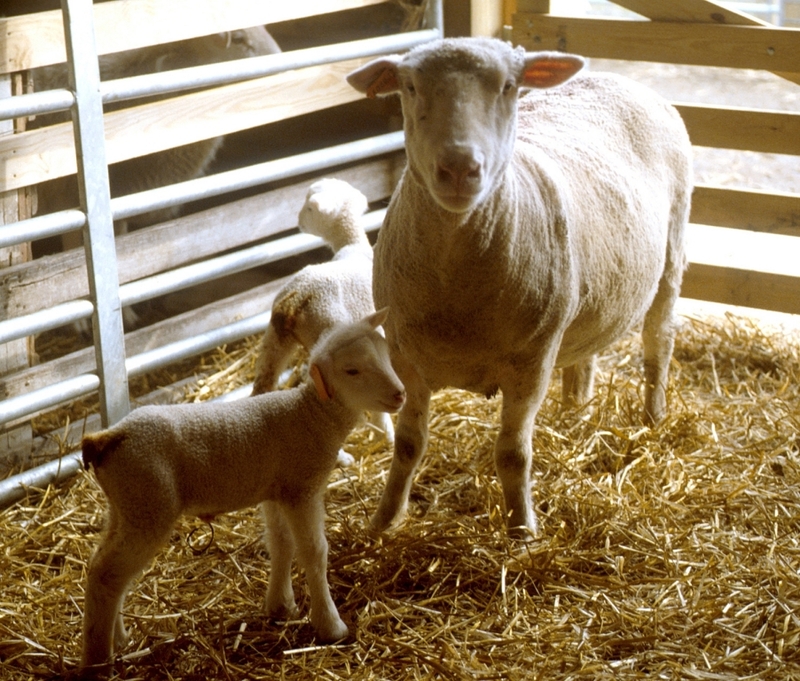 In this experiment, 96 Hampshire x Dorset crossbred lambs were used to determine the effects of energy source by feeding and comparing three different diets including high concentrate (HC), high forage (HF), and a combination of concentrate and forage (MIX) feeds in addition to ionophore supplementation (monensin; at a rate of 176 mg per kg of feed). A total of 48 wether lambs were harvested at approximately 130 lbs. to evaluate the effects of energy source and ionophore supplementation on lamb carcass characteristics and product palatability. In comparing lamb performance based upon energy source, lambs fed HC and MIX diets had a greater average daily gain (0.66 and 0.63 lbs.) when compared to lambs fed the HF diet (0.45 lbs.). Lambs fed the HC diet had a more desirable feed efficiency ratio (gain/feed; 0.231 lbs./lbs.) when compared to lambs fed the HF diet (0.139 lbs./lbs. ), with lambs fed the MIX diet falling intermediately (0.181 lbs./lbs.). When evaluating days on feed, lambs fed the HF diet spent more days on feed (106 days) as compared to the lambs fed the HC and MIX diets (68 and 77 days). Dry matter intake was the lowest with lambs fed HC diet (2.84 lbs./day) as compared to lambs fed MIX and HF diets (3.51 and 3.22 lbs./day). In addition, no differences were shown when comparing ionophore supplementation. When comparing carcass characteristics, lambs fed HC and MIX diets had thicker body walls when compared to HF fed lambs. HC and MIX diet fed lambs also accumulated a greater amount of kidney and pelvic fat when compared to HF fed lambs. Therefore, HF lambs would provide less wasteful product (fat) when compared to HC and MIX fed lambs. However, the rib eye area of HC and MIX fed lambs were greater than the HF fed lambs (1.02 and 0.97 vs. 0.88 in.2, respectively). No differences were found in back fat when comparing the three dietary treatments. Unlike the previous section, ionophore supplementation had an effect on lamb carcass characteristics. Lambs supplemented with ionophore had a greater dressing percentage when compared to the control lambs (59.2% vs 56.1%). Also, lambs supplemented with ionophore had less back fat when compared to the control lambs (0.19 vs. 0.24 in.). Rather than just stopping here, Murphy and others took their research one step further. In order to ensure that the treatments placed upon the animals were acceptable from a consumer standpoint, a portion of the lambs (48 wethers) were used to conduct a sensory panel. First, muscle samples were subjected to Warner-Bratzler shear force testing. In sampling the loin, results indicated that lambs fed MIX and HF diets were more tender than compared to HC fed lambs. After this, the sensory panel was implemented on the same muscle cut. Results from the taste panel showed that there were no differences in juiciness; however, there was a difference in tenderness, with lambs fed HC diet being least tender, MIX diet being the most tender, and HF diet falling intermediate. In both the Warner-Bratzler shear force test and sensory panel, no differences were seen as a result of ionophore supplementation. From a performance standpoint, lambs fed the HC diet had the highest average daily gain, feed efficiency, and spent the fewest number of days on feed. However, taking into account carcass quality and consumer acceptability, HC fed lambs had more fat and also showed an increase in muscle toughness. In addition, the implementation of ionophore supplementation did not demonstrate any negative effects on lamb performance, carcass characteristics, or sensory attributes. Therefore, the implementation of ionophore supplementation may be of most benefit when feeding heavier lambs on HC diets. Murphy, M. A., H. N. Zerby, and F. L. Fluharty. 2003. The effects of energy source and ionophore supplementation on lamb growth, carcass characteristics and tenderness. Sheep and Goat Res. J. 18: 89-95. Posted by Braden Campbell at 8:00am January 4, 2019 Posted in Nutrition, Research and tagged Nutrition, Research. Bookmark the permalink.